Can’t make up Your Mind on Which Tour to Do? Combine 2 of your preferred tours & experience an unforgettable adventure, riding or driving along spectacular beaches, magnificent mountains and its desert trails. 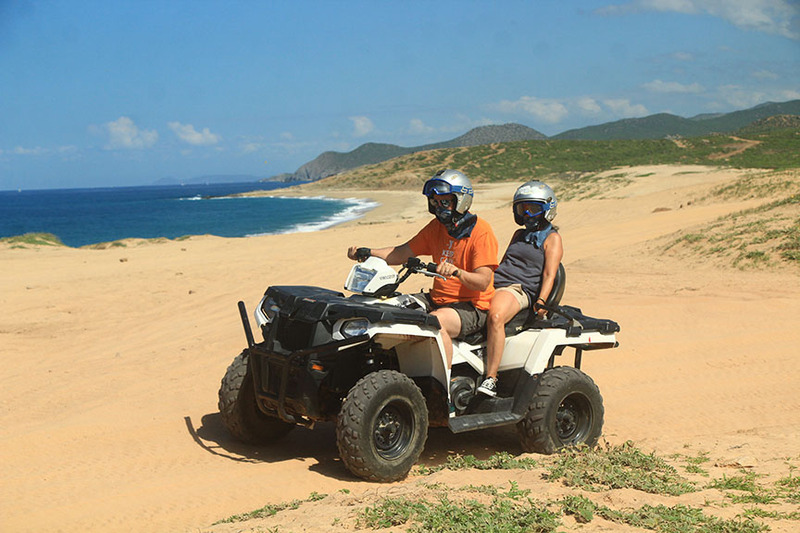 Enjoy 2 Spectacular Tours, 1 Hour Each. 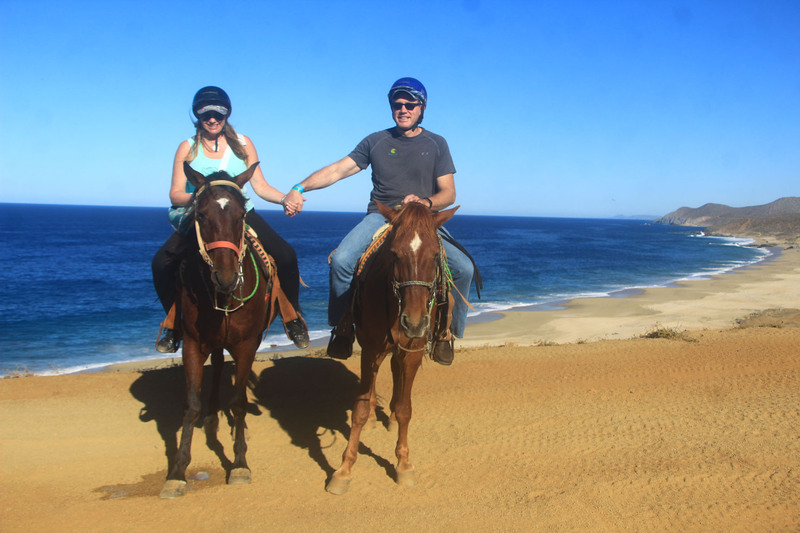 Enjoy two adventures of either Camels, Horses, or ATVs all on the same tour. 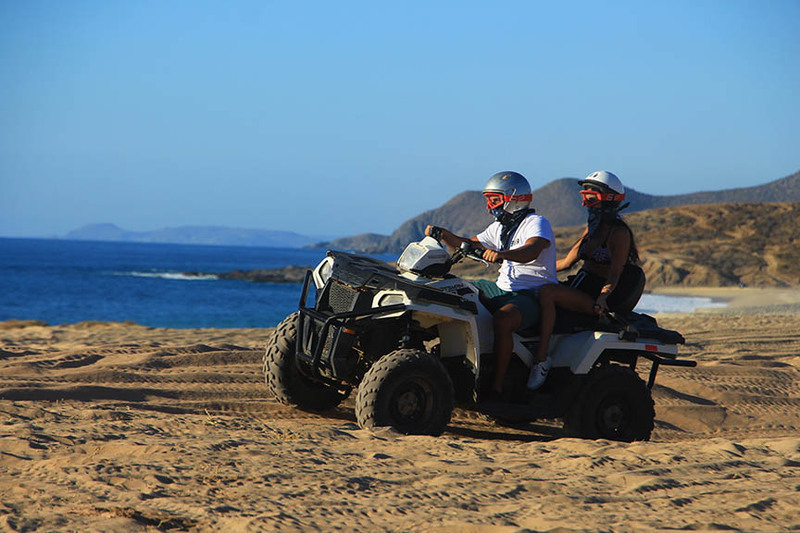 Experience the beauty of nature driving through the desert, mountains, canyons a huge dry stream and beautiful beach with sand dunes and spectacular ocean side cliffs. 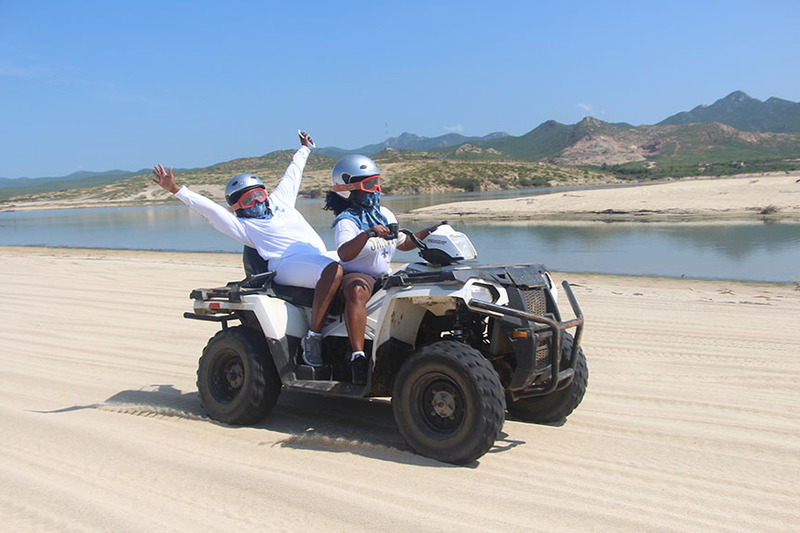 Choose at check out your two Tours. Round Trip Transportation From all Los Cabos Resorts/Hotels & Cruise Ships. 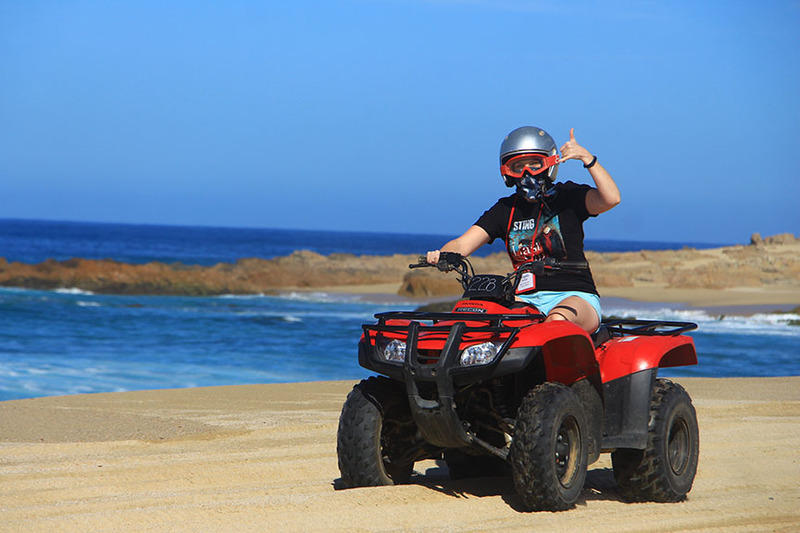 NOTE: If you book your tour less than 12 hours before the start of the tour, we may not be able to provide transportation and you must arrive at the location on your own. 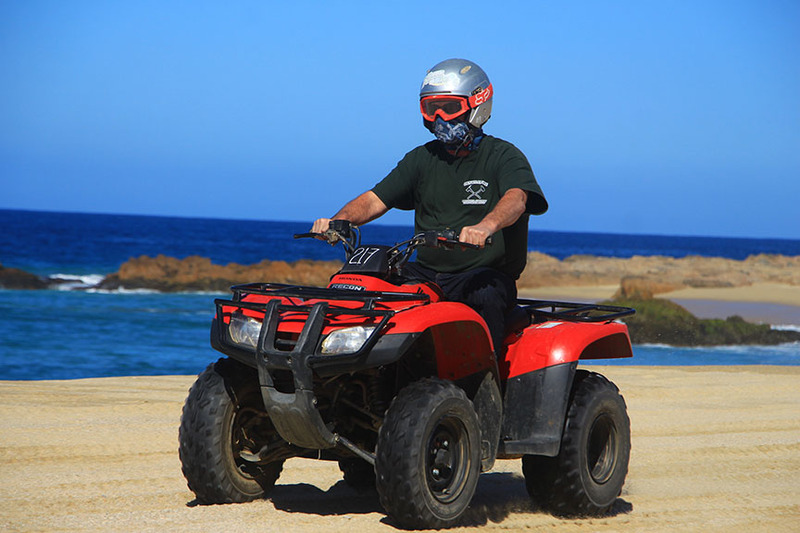 Please call us to confirm that we are able to pick you up. 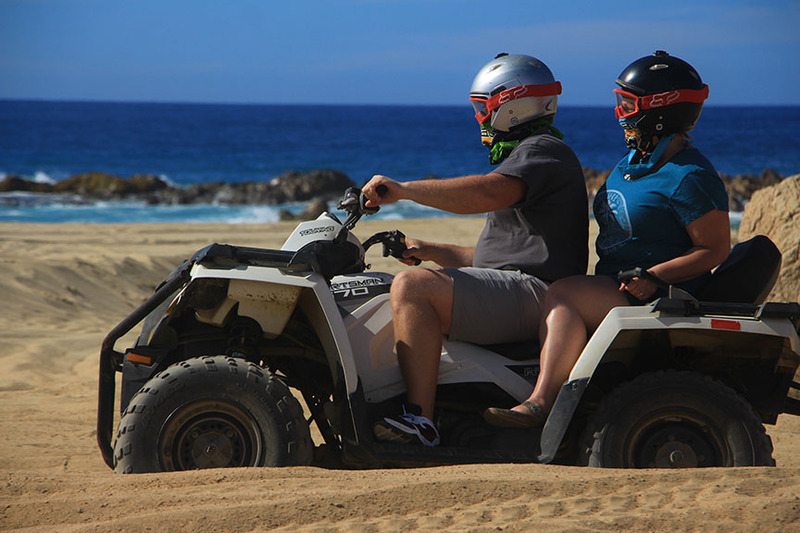 Combo Tour	$119.00 - Pay $69 deposit now. 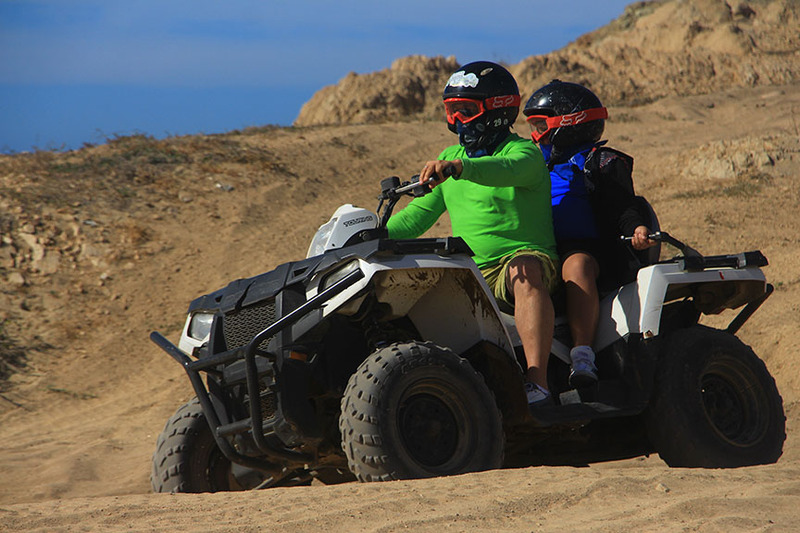 Pay $50 at time of Departure Plus $20 Park Fee per Person. 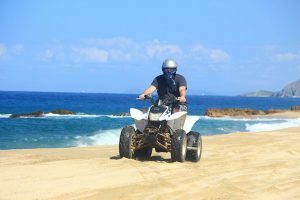 Single ATV: $25 USD - Pay at time of Departure. 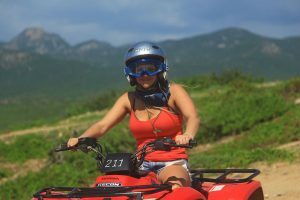 Double ATV: $35 USD - Pay at time of Departure. 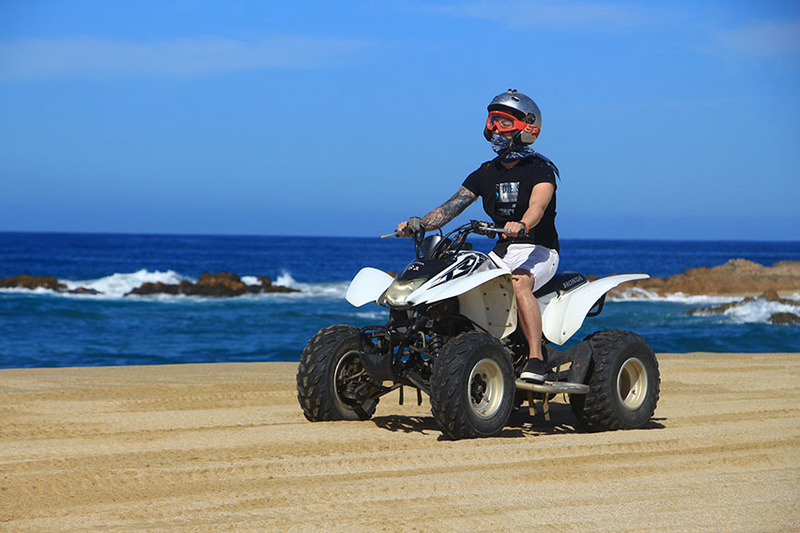 Zoom in or out on the map below to find the exact location of the tour. 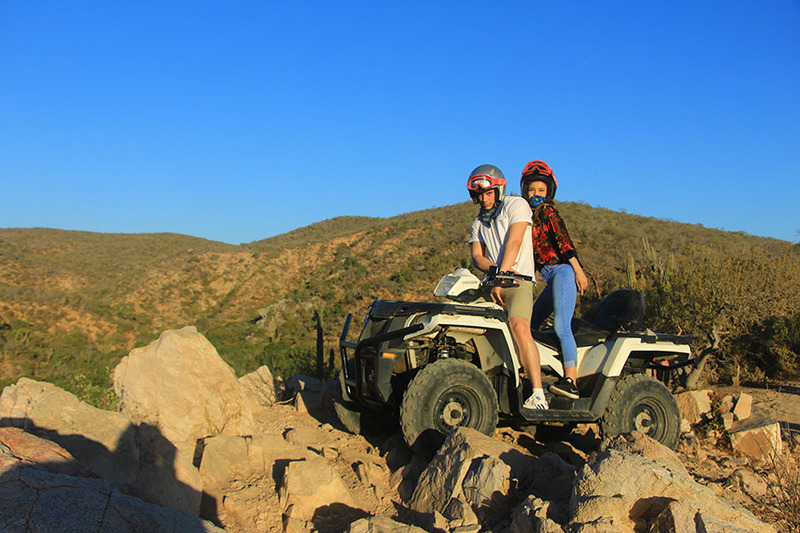 The tour is provided by Cactus Tours. 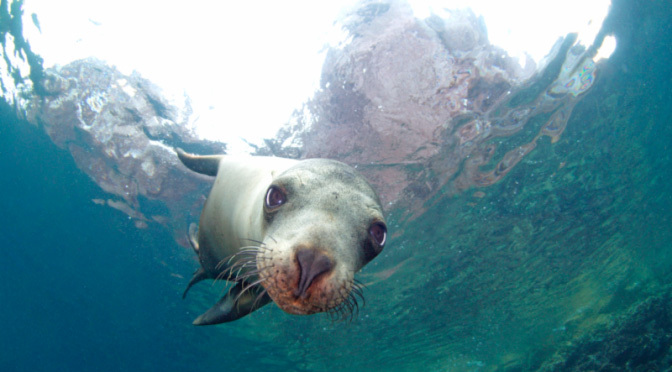 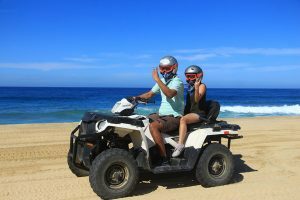 They are located about 15 minutes outside of Cabo San Lucas right on the Pacific Ocean. 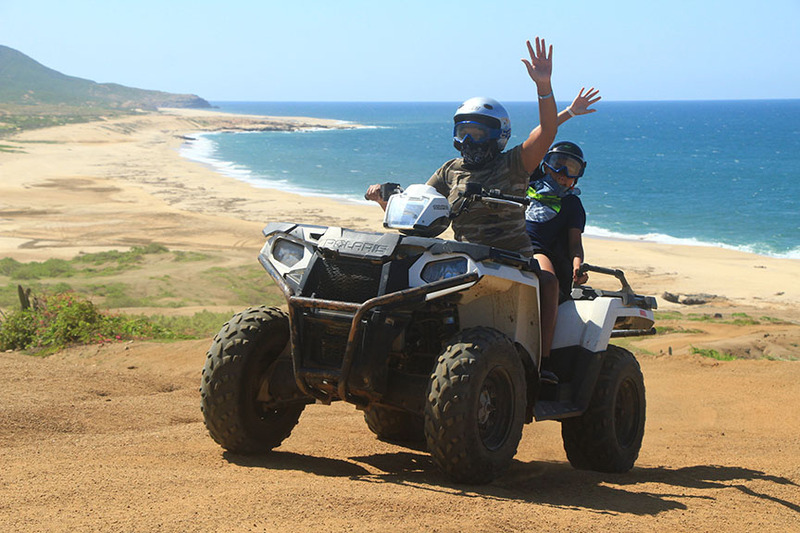 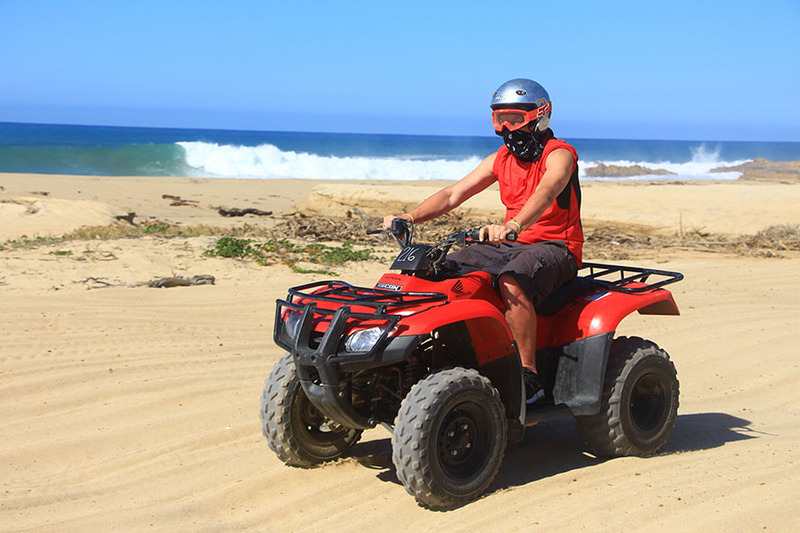 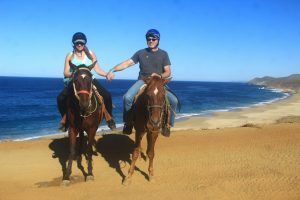 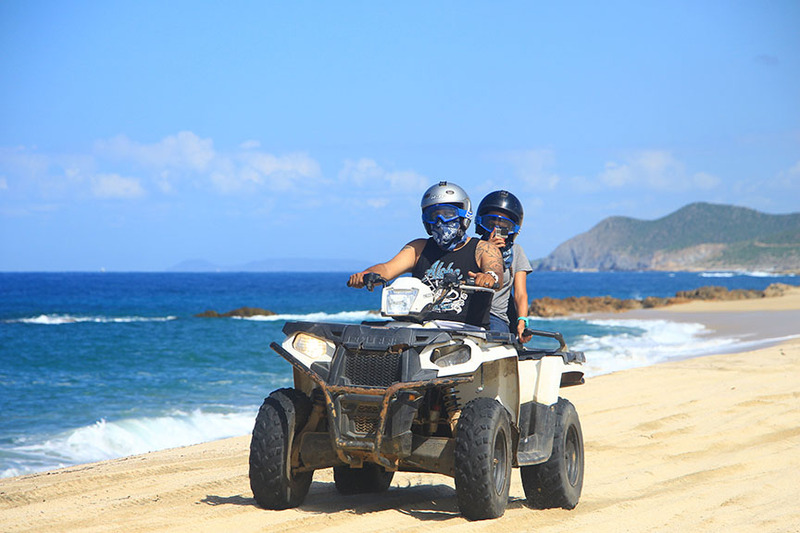 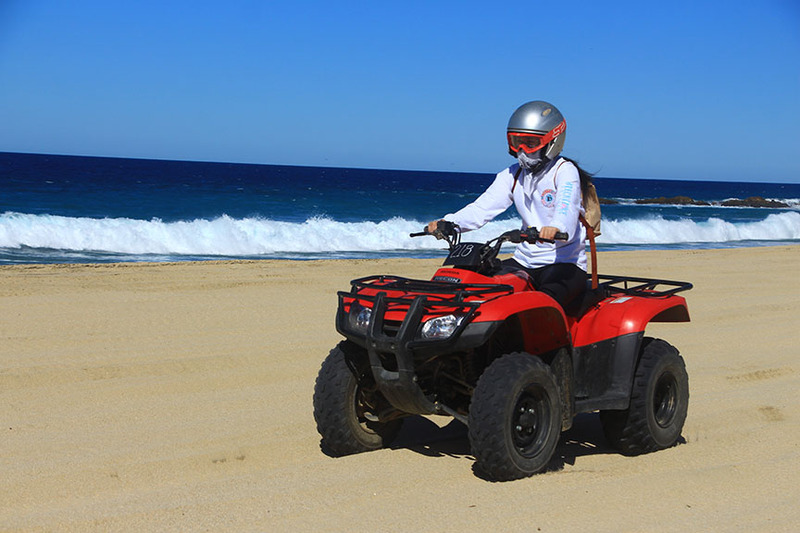 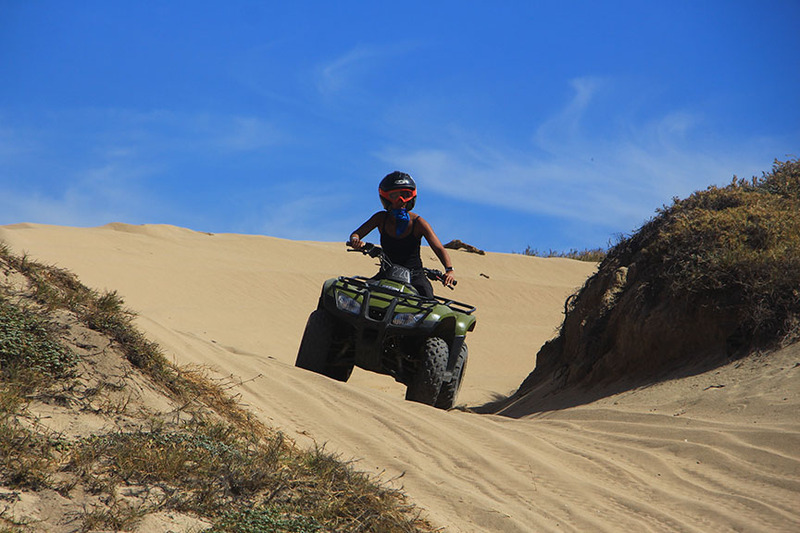 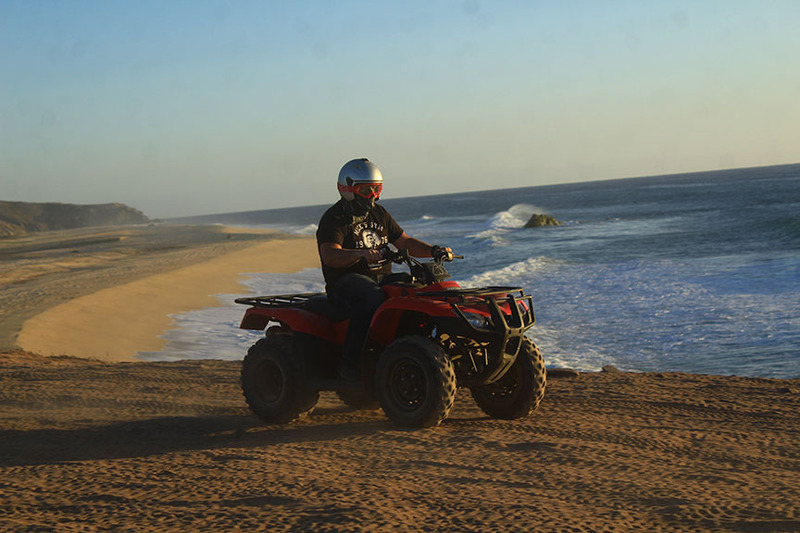 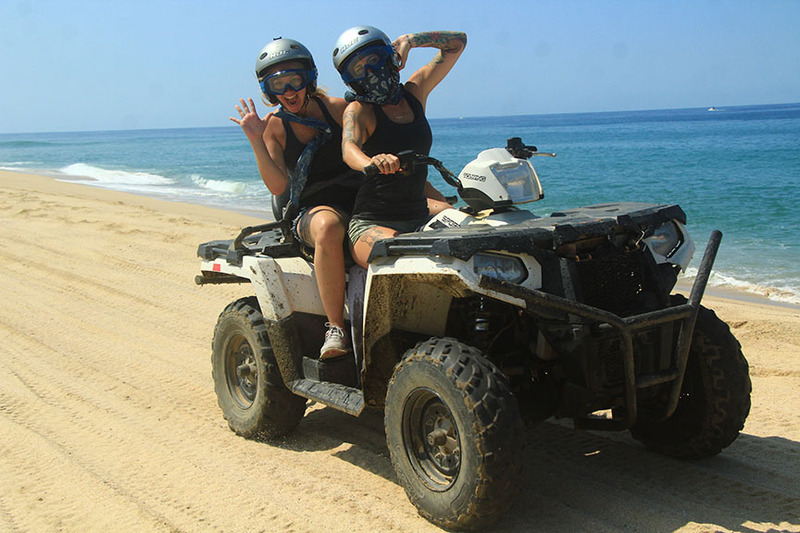 Over 4000 reviews by Trip Advisory & Certificate of Excellence, they are easily the best ATV tour company in Cabo. 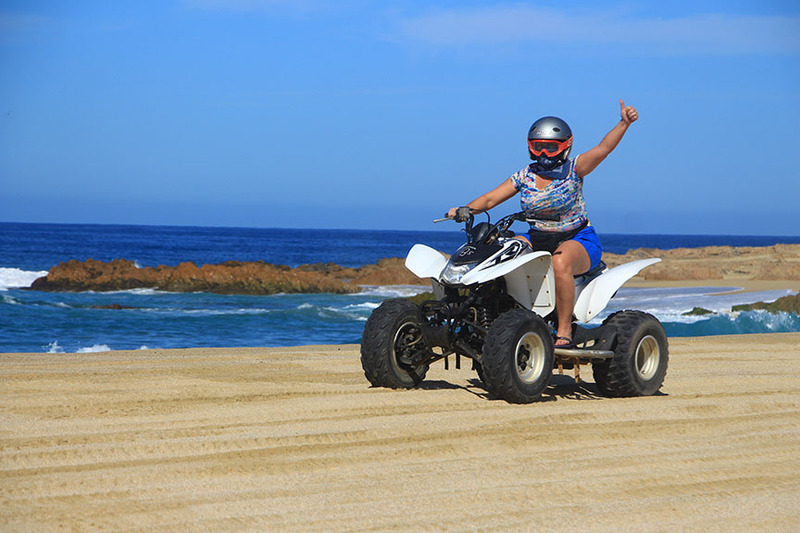 The address is Highway 19 | Migriño, Cabo San Lucas, Mexico. 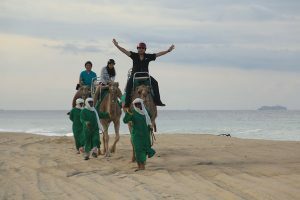 The GPS Coordinates are 23.056247, -110.095503. 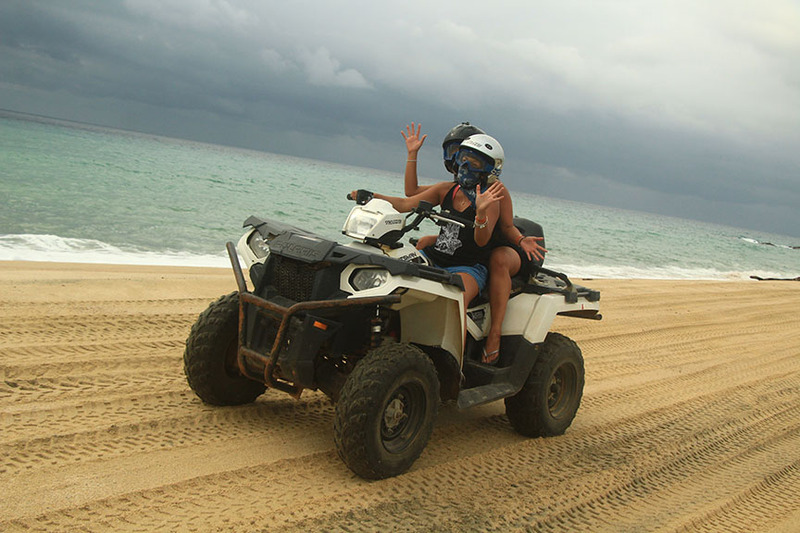 For Google Maps directions click here.